Boston, MA — The State Ethics Commission has issued a Public Education Letter to Department of Developmental Services (DDS) employee Vicki Banas to resolve allegations that Ms. Banas violated the conflict of interest law. According to the letter, signed by Executive Director David A. Wilson, Ms. Banas, while a DDS Program Manager in the DDS Central/West Region, solicited quotes and approved work performed at DDS facilities by a company owned by a family member and another company owned by a close family friend. According to the letter, in 2012, Ms. Banas was responsible for decommissioning three state swimming pools and installing concrete blocks at the Monson Developmental Center, which was closing. Ms. Banas approved a $6,750 purchase order to S&K Lawn Care to fill in the pools, and a $4,310 purchase order to Banas Sand and Gravel to install the concrete blocks around the property. S&K Lawn Care is owned by a close family friend, and Banas Sand and Gravel is owned by Ms. Banas’ father-in-law. Ms. Banas’ spouse is also employed at Banas Sand and Gravel. In 2013, Ms. Banas was assigned to decommission a swimming pool at the Glavin Developmental Center in Shrewsbury, which was also closing. Ms. Banas solicited a price quote from S&K Lawn Care based on specifications that were not given to other vendors who submitted quotes, and thereafter approved a $9,876 purchase order and invoice to S&K Lawn Care to fill in the pool. Banas Sand and Gravel was a subcontractor to S&K Lawn Care on that project. Banas Sand and Gravel was paid $5,000 for the work. In 2013 and 2014, Ms. Banas recommended that DDS hire S&K Lawn Care to perform landscaping work and snow removal at the Monson Developmental Center and Glavin Developmental Center. The Commission’s investigation revealed that at no time did Ms. Banas file required written disclosures with her DDS appointing authority concerning her private relationship with the owner of S&K Lawn Care, nor did she file required written disclosures with, or obtain advance written approval from, her DDS appointing authority prior to approving purchase orders and invoices for Banas Sand and Gravel. She also failed to file disclosures concerning Banas Sand and Gravel with the State Ethics Commission as required by the conflict of interest law. The Commission determined that there was reasonable cause to believe that Ms. Banas violated the conflict of interest law. The Commission further determined that this matter should be resolved with a Public Education Letter to Ms. Banas, rather than through adjudicatory proceedings, in the interest of educating public employees about the requirements of the conflict of interest law. Ms. Banas agreed to the issuance of the letter and chose not to exercise her right to a hearing. The conflict of interest law prohibits self-dealing and nepotism. When situations arise that impact the financial interests of immediate family members or their businesses, public employees are required to abstain from performing their duties unless they first file a written disclosure with, and receive advance written approval from, their appointing authority. Public employees also may not use their official positions to direct state contracts to businesses owned by family and friends, and must disclose in writing any circumstance that creates an appearance of a conflict of interest, prior to performing duties that might affect some outside interest. 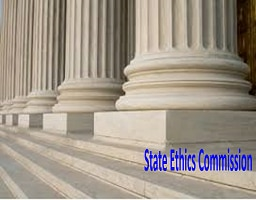 The State Ethics Commission is charged with enforcing the conflict of interest law, which prohibits public employees from using their offices or positions for personal purposes. When the Commission’s five members vote to find that there is reasonable cause to believe that a public employee violated the law, it may further vote to issue a public education letter rather than to begin adjudicatory proceedings against the employee. The Commission issues a public education letter when it believes such a letter would educate other public employees in similar positions and circumstances, so that they will have a clearer understanding of the conflict of interest law and how to comply with it.